For someone who has never dealt with the painful symptoms related to neuropathy they may not understand the critical nature of finding a treatment plan. But the facts are that there are millions of individuals who deal with the all different forms of neuropathy (nerve damage) as well as the illnesses or injuries that may have caused the nerve pain in the first place. It’s not enough to just have one condition but then to deal with symptoms such as burning, itching, tingling, or lack of sensations such as heat, touch, or cold that are caused by the nerve damage can often be excruciating to deal with. As stated there can be many different causes which produce the nerve pain; however one of the most common conditions associated with nerve pain is called peripheral neuropathy and it mostly affects Diabetic patients. 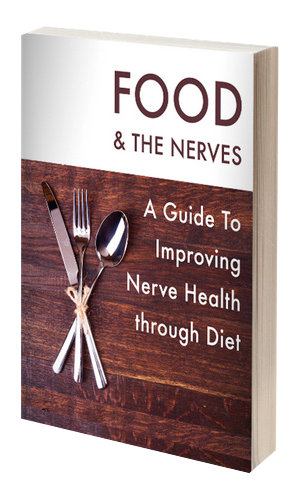 The questions many individuals who suffer from nerve pain is will this last forever or what can be done about the nerve pain? The answer to those questions is that yes there are treatments that will change the way of life for individual suffering from nerve pain and one such option would be the use of Benfotiamine. Benfotiamine is a treatment which has been proven to help with the problems and symptoms associated with peripheral neuropathy. Benfotiamine is a lipid soluble form of Thiamine (more commonly known as Vitamin B-1). Just like other supplements it can be found naturally in foods like roasted and crushed garlic, as well as onions, shallots, and leeks. But for Benfotiamine to work best in the reduction of nerve pain associated with peripheral neuropathy it should be taken in supplement form, and most often taken orally in pill or tablet form. Because Benfotiamine is lipid (fat) soluble it is much more easily absorbed by the body than when found in its original form of Thiamine. Studies have shown that it is very safe for individuals and it has shown beneficial with symptoms improvement related to the pain associated with peripheral neuropathy that many Diabetics experience. More specifically research has proven that it’s beneficial to Diabetic individuals because it reduces the micro vascular damage that is caused from high glucose levels. Benfotiamine fits the bill as an alternative option for nerve pain treatment when an individual is searching for an alternative to prescription medications. For individuals who are able to make the correct lifestyle changes to help with the condition of the Diabetes and who also add Benfotiamine to their daily regimen, studies have shown that they will experience much less nerve pain associated with the peripheral neuropathy. In fact, when accompanied by lifestyle changes Benfotiamine can provide much better pain relief to an individual experiencing nerve pain than that of the mainstream prescription medications which carry with them so many negative side effects.